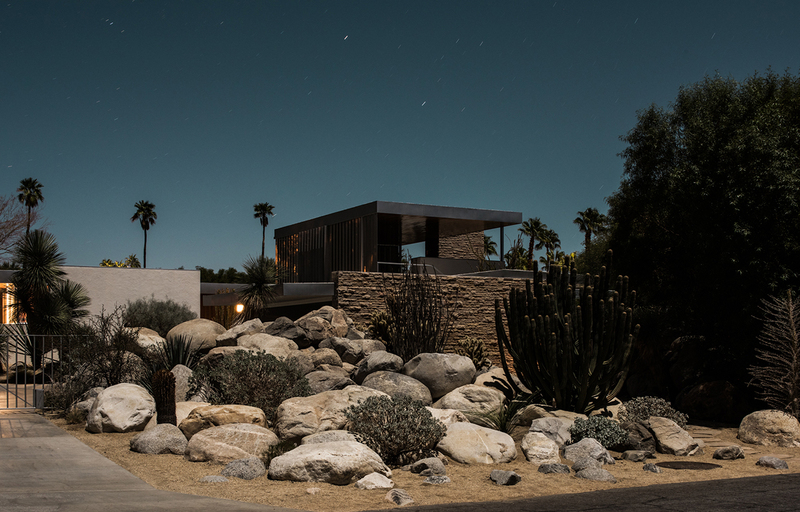 For the photos in Midnight Modern, Tom Blachford captured local architecture in a new light (the moon’s). It’s the middle of February when I connect with Australian photographer Tom Blachford. There happens to be a full moon over Palm Springs, where he is, which means he’s about to get to work. In the past three years, he’s made five trips from Melbourne, where he is based, to the desert town that is nestled in Southern California’s Coachella Valley. These efforts have culminated with the release of his first book, Midnight Modern, out this month from Powerhouse. 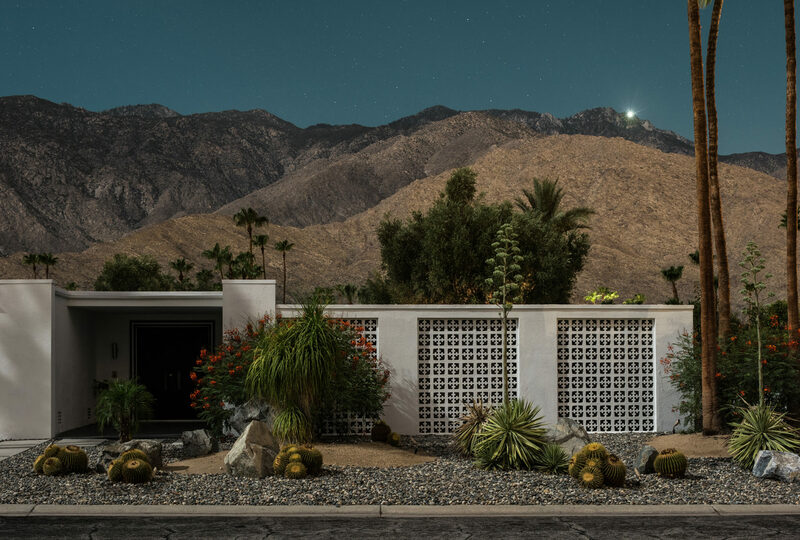 Collectively a celebration of the midcentury modern architecture that shapes the Palm Springs landscape, each of the 60 featured photographs offers a depiction of a residence illuminated by moonlight, often creating an effect that highlights the structure’s relationship with its arid, rocky surroundings. 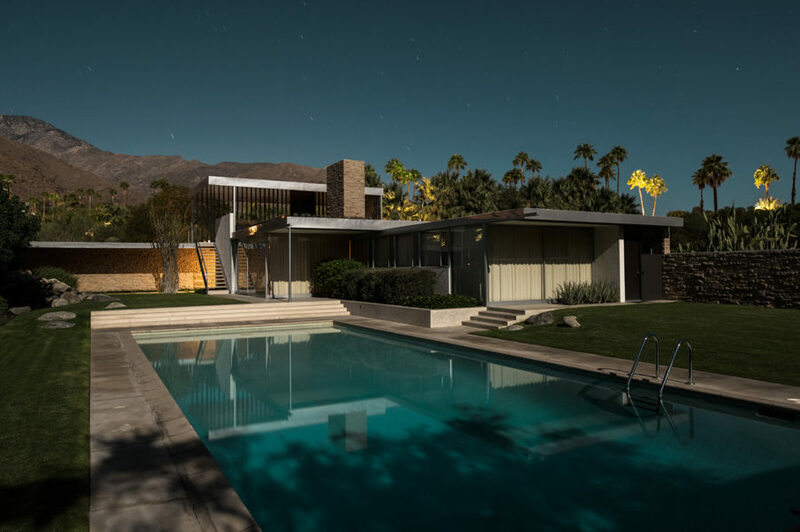 Perhaps that’s why his photos have a cinematic quality—which is actually appropriate considering that the style owes its rise in Palm Springs to the Hollywood elite who flocked to the then-fledging resort destination beginning in the 1930s. Blachford’s production process even resembles that of a film’s, in that it can get a bit disorienting. On a typical day, he might wake up at 5:30 a.m. to scout for homes and, subsequently, willing homeowners; twenty-four hours later, he’ll being turning in after a night of shooting. “It’s quite a roller coaster,” he says. Given how frequently he travels to Palm Springs, and how much of a pain he admits the commute is, why doesn’t he just move there? “This place is so special, I wouldn’t want it to become my everyday,” he says. And so, he remains a visitor, documentarian, and nightcrawler.